But I was unhappy with the progress. I felt that the mountains were not as impressive as I wanted them – and also looked a bit too CGI if you know what I mean. So I went back into Bryce and discovered my first error: I had not saved a camera view. This is the view which you put in place so that you can always get the same shot (angle, distance etc.) This meant that I would have to guess these (and also set up a camera for future reference). 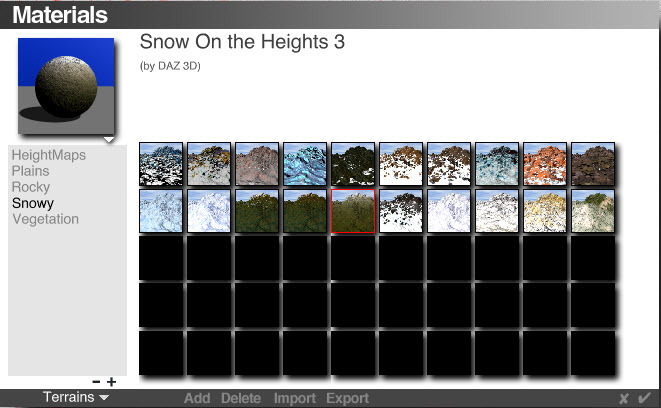 So I fiddled a bit with the terrain editor (essentially adding more white as white represents height). 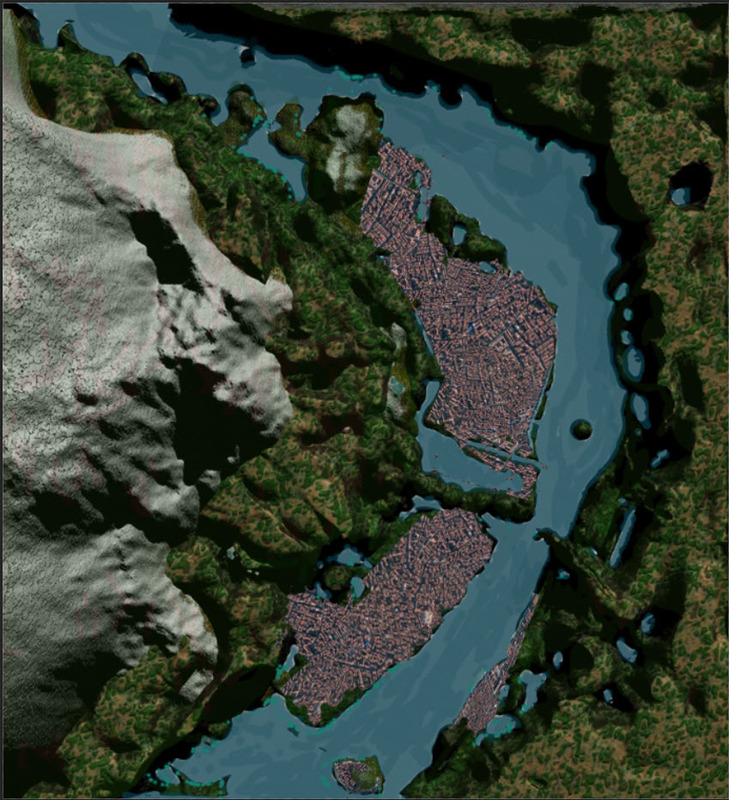 Now I had two pieces of terrain: one the lower heights of the map and the other the heights. I decided to add textures to these. 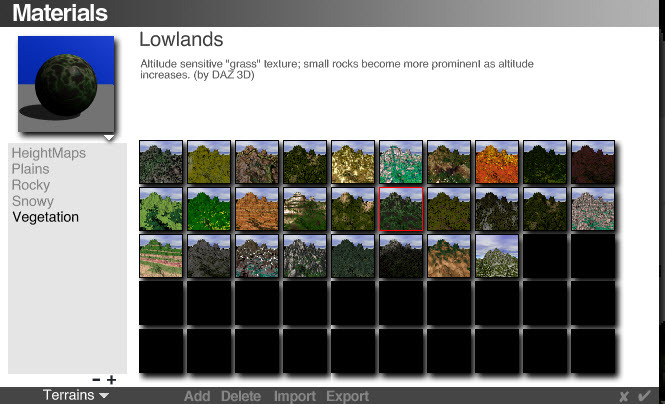 For the lowlands I picked the appropriately named “Lowlands” texture. It had nice greens and shrubs etc. For the mountains I picked “Snow on the heights 3” which was green up until quite high. 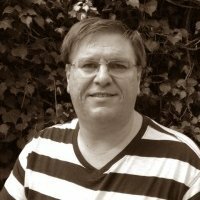 Yes – the angle and distance had been wrong. White areas now adorned the places where the new picture did not fit. I knew that I would never get the angle and distance correct again, so I patiently sat down and just fixed them with Photoshop. 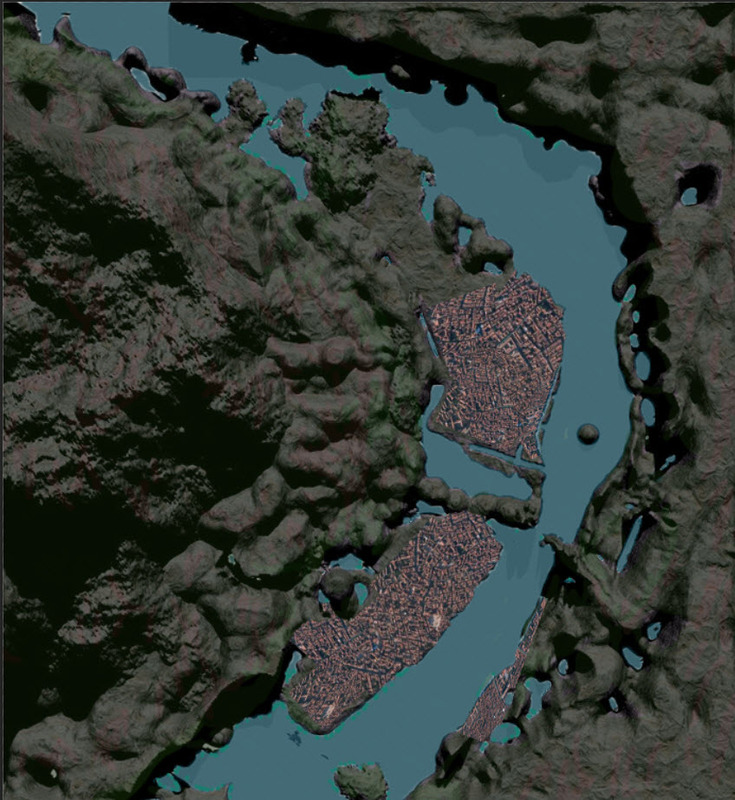 I still have more urban areas to create (and shadow them appropriately) and a river with waterfall to construct. I also want to add labels and get the water feeling more real. Nevertheless the Bryce and Photoshop combination is doing a good job. I guess that you will see more in Part 3.